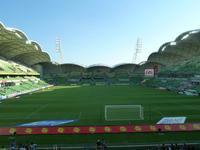 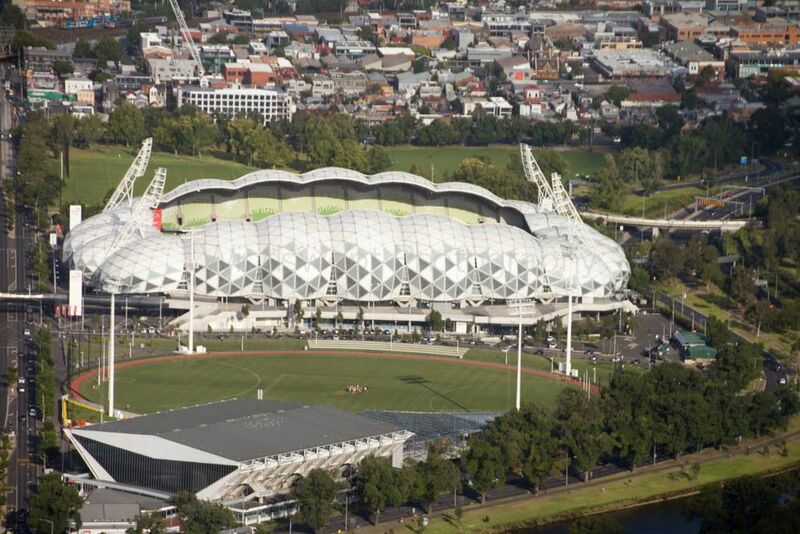 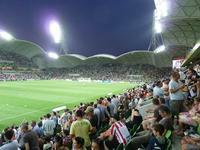 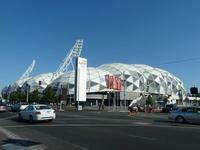 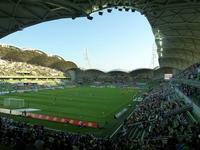 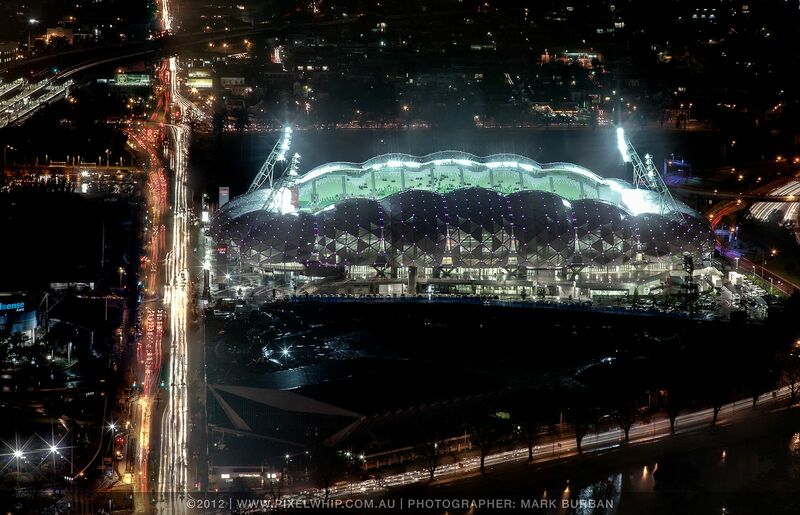 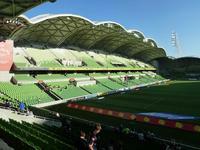 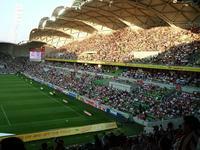 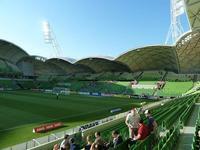 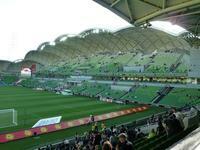 Until 2010 Melbourne had only one decent football stadium. 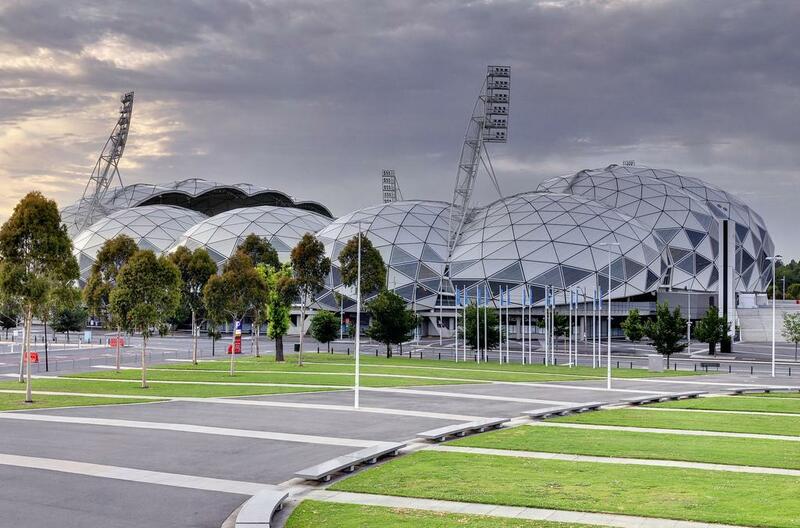 But frankly Olympic Park Stadium was not even a football venue due to athletics track around the pitch. It could also seat only 11,000 people. 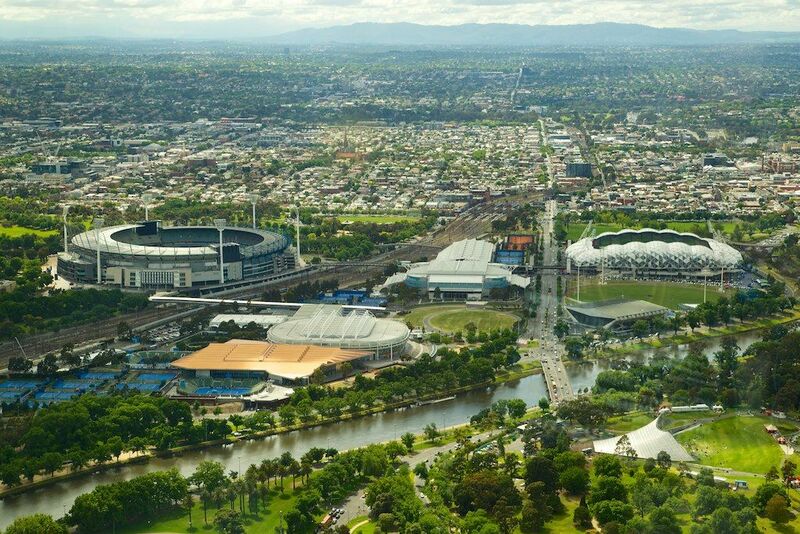 This was seen as too little, because even though the city has large MCG and Docklands Stadium, those were designed with oval stands, optimal for cricket and Australian code football. 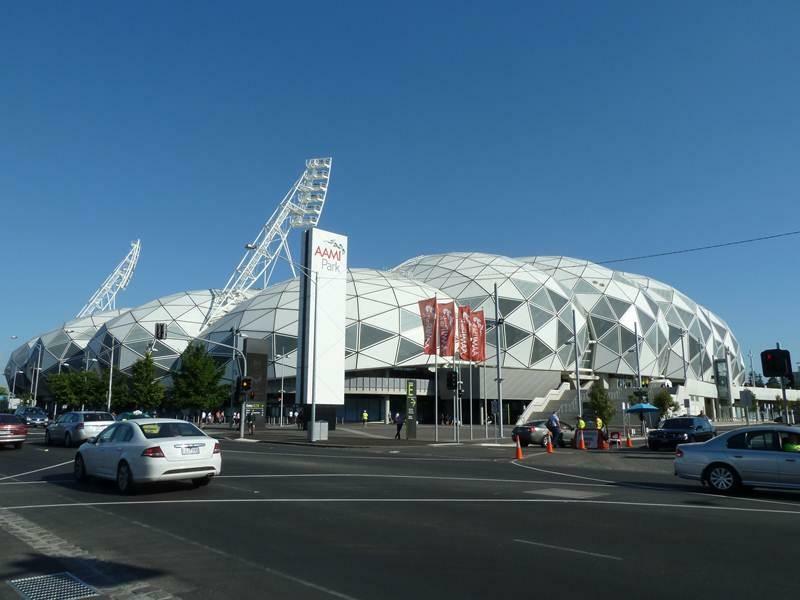 A new football and rugby ground was announced and quickly became known as the ‘Rectangular Stadium’, opposed to its oval neighbours. 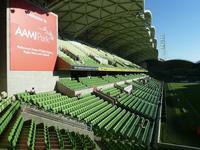 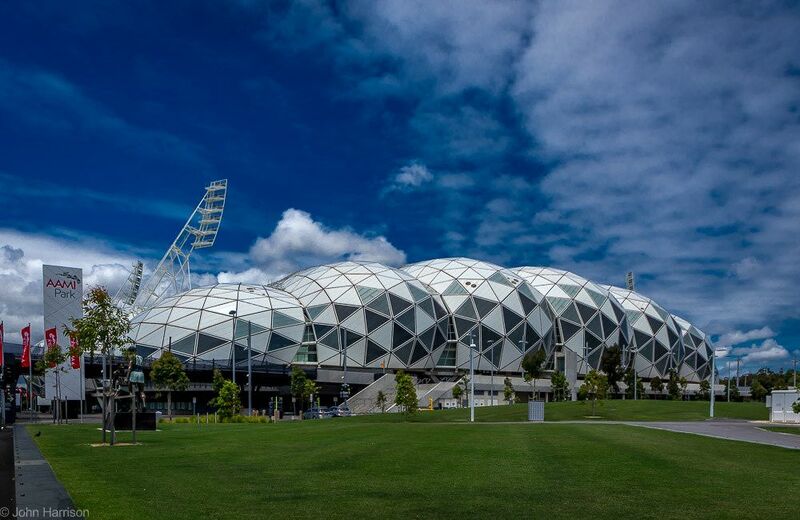 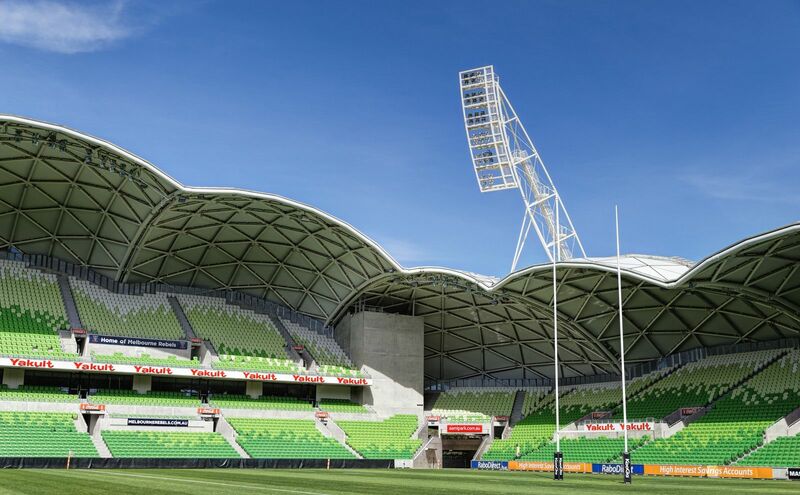 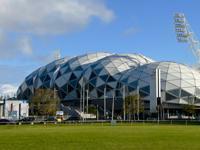 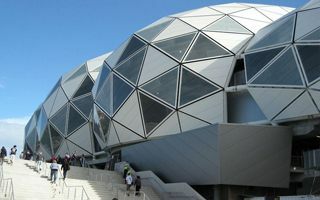 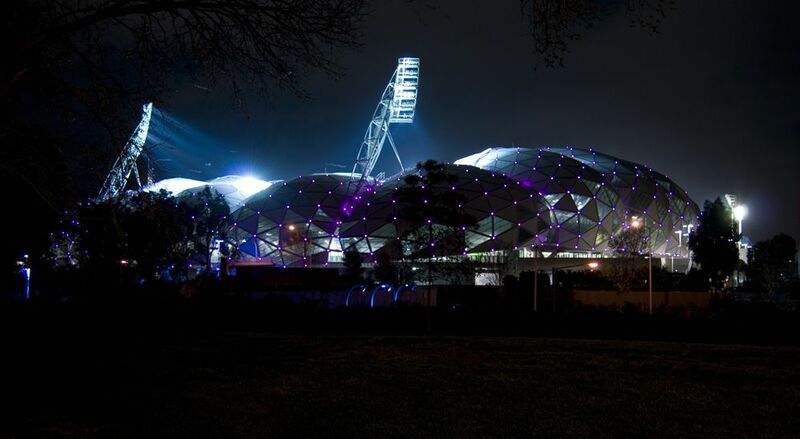 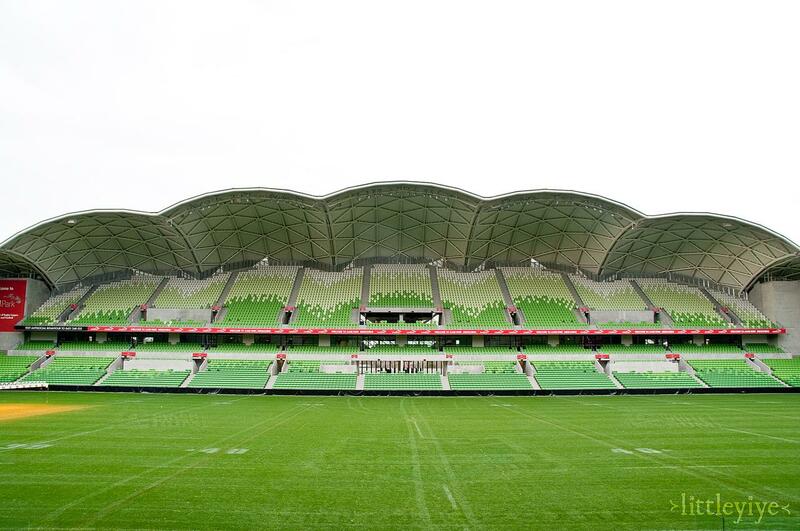 Construction of the venue, with name changed to AAMI Park for commercial reasons, started in the Olympic Park, close to mentioned above MCG and Melbourne’s famous tennis courts. 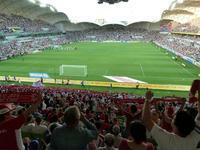 Initially it was planned to host 20,000 people with option to increase to 25,000. 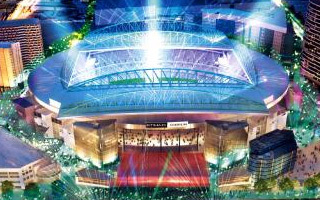 However plans were revised and when finished the stadium has 30,050 seats (29,500 for rugby) and foundations ready to take another 20,000 when redevelopment becomes needed. 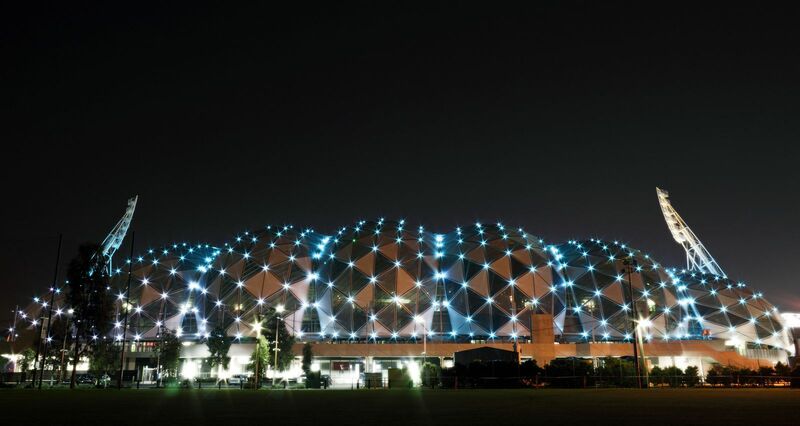 Cox Architects created a unique roof construction which is the stadiums façade at the same time. 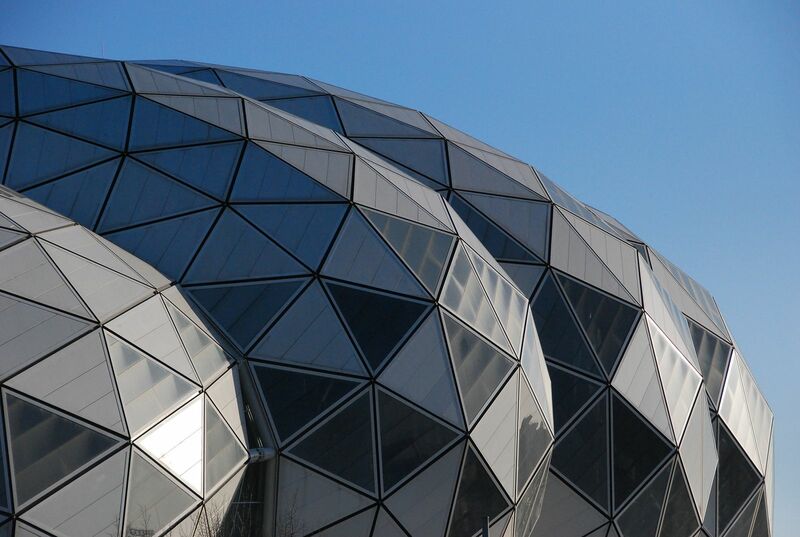 Officially called “bioframe”, the structure uses 50% less steel than regular elements. 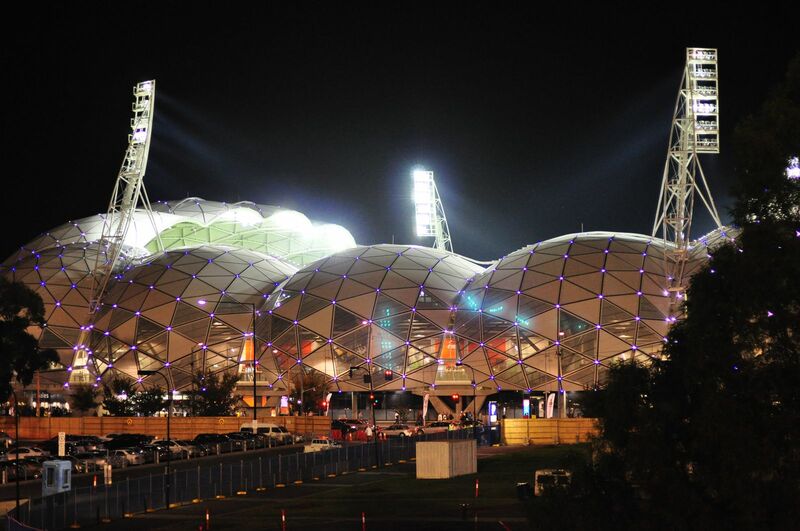 At the same time it provides an unusual shape, combining 20 domes that support one another, providing stability. 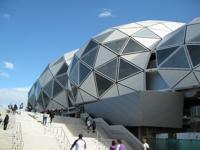 This solution has received numerous awards following the ground’s opening. 19.06.2016 Australia: What’s the stadium future for Melbourne? 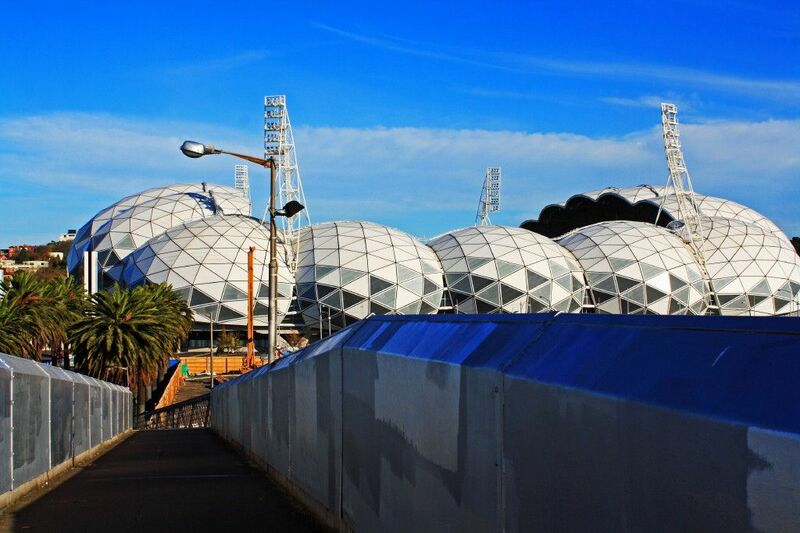 There are two visions and they’re mutually exclusive. 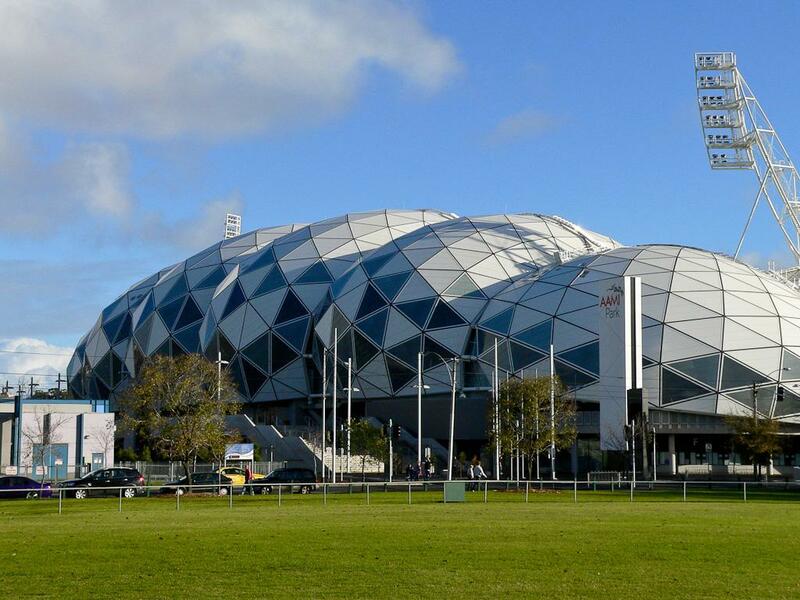 One envisions a much improved Etihad Stadium, the other proposes to demolish it and build from scratch between MCG and AAMI Park. 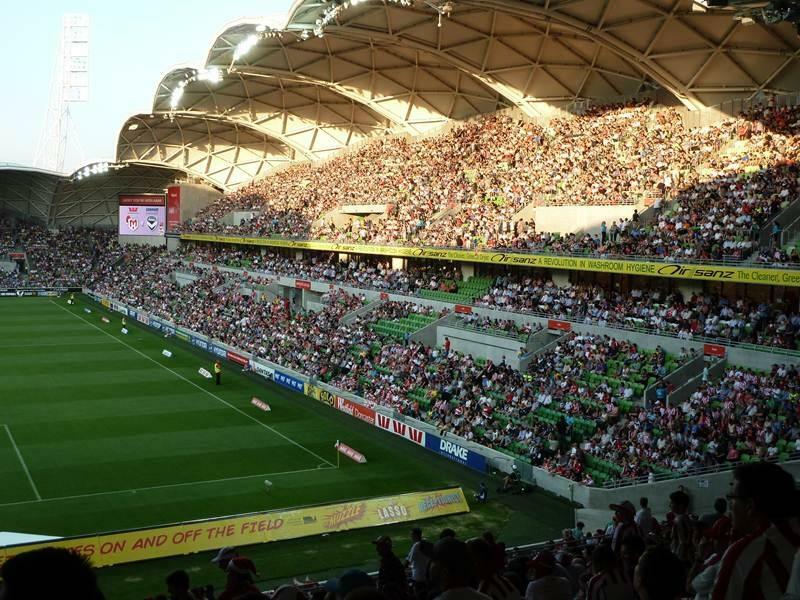 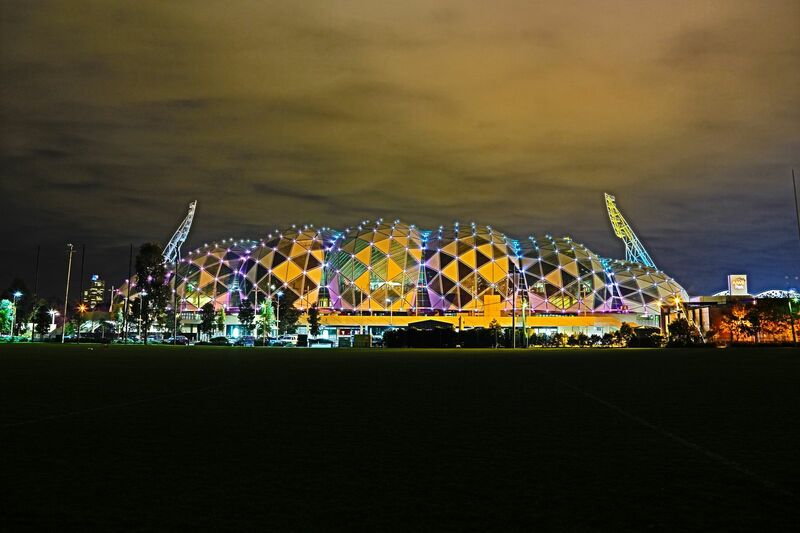 19.02.2016 Australia: Is AAMI Park combustible? 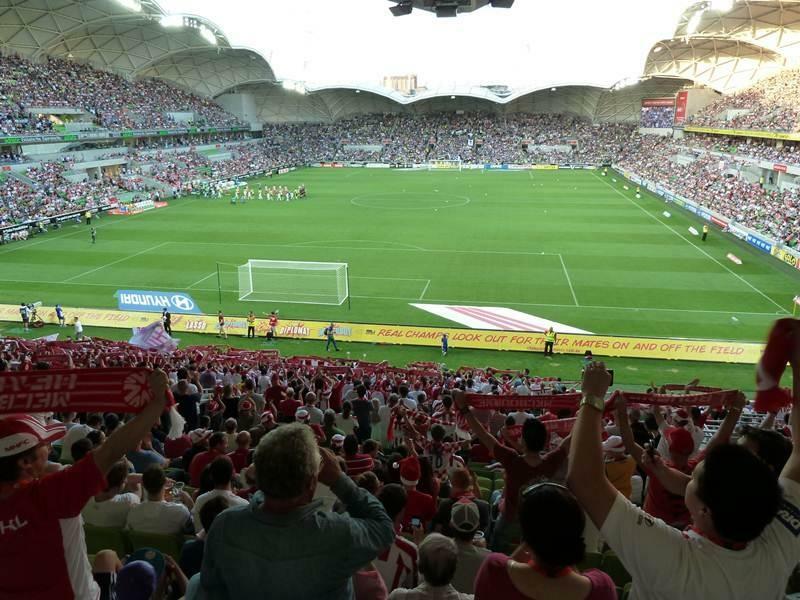 Rare example of panic seems to have taken control over the media in Melbourne after supporters have lit flares during recent derby game. 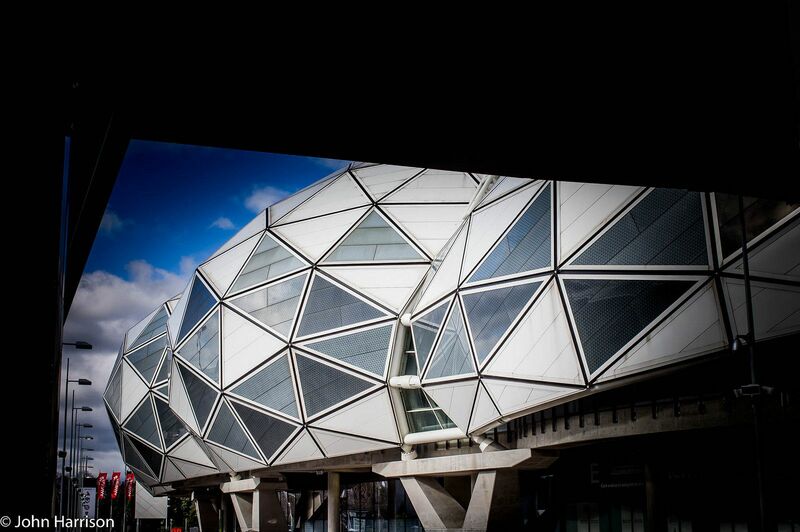 As it turns out, AAMI Park is not perfectly inflammable.